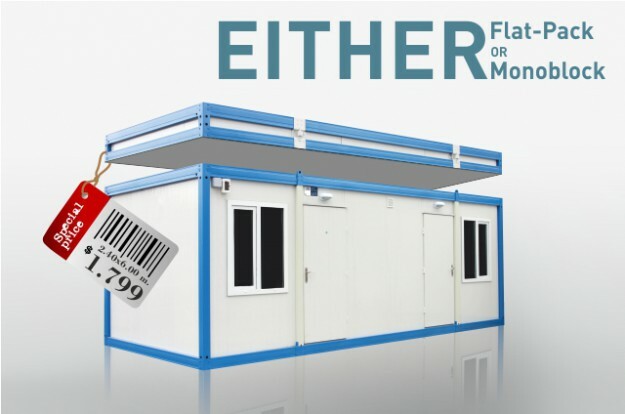 Special Offer for Containers | Piraziz Int. Serv. Sol. Max 12 pcs packed units can be in a truck, easily loaded and stored. To be disassembled and reassembled many times. Durable and environmentally-friendly. Resistant to tough construction site conditions and can be used as three floors. Galvanized structural steel sheet is used along with B1 class fire resistant, insulated Hekim sandwich Panels for walls & roofs and A1 class fire resistant for floor.